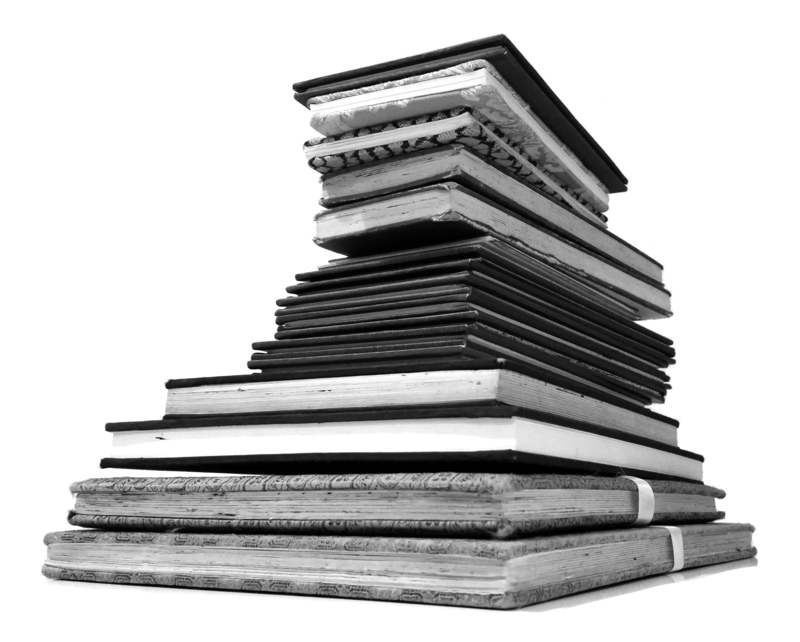 This is a photograph of a stack representing a portion of the drawing books that have the images presented in this resource. Over two decades, I have traveled the planet, drawn what I have seen, and learned from the act of looking. Out in the field and immediately following the travels, I have taken notes and then over many years written the insights included in the descriptions that accompany the drawings. The content centers on innovation, critical thinking, and sustainable design. I have also included some personal experiences as well as professional insights to accompany the travel drawings and observations. The act of looking and documenting has been constructive for me on many levels, so I am pleased to present this work for your consideration. The foldout Stretch-A-Sketch books, as I call them, in this collection are the result of a simple multicultural phenomenon. As a graduate architecture student at the University of Pennsylvania in the early 1990s, one of my professors, Kinya Maruyama, inspired me to look at the world with fresh perspective. Kinya is a Japanese architect that has dedicated his career to innovation and sustainable design. Kinya was a visiting professor, and he gave me, and each of my fellow classmates, very unique Japanese books of blank paper that he had brought over from Tokyo. The books measured 11 1/2” tall by about 3 3/4” wide. The special aspect of these books was that the paper was not bound on a single edge but linked through a zigzag accordion form that unfolded to almost eight feet long. Historically, the Japanese used these books to write vertically and tell stories that would unfold across the length of more than two-dozen panels. Kinya also gave us each a unique writing tool. The brush pen had ink in the handle and a brush tip so that you could squeeze the handle to release the ink and actually paint the surface with varying degrees of pinpoint and sweeping strokes. Kinya encouraged us to sketch in the books. Without any training to write vertically in Japanese, sketching became the obvious highest and best use of our architectural skills at that time. More than two decades later with travel around the world, I have filled a massive collection of books and used hundreds of brush pens. I needed so many books that I found a Philadelphia book bindery to make custom-sized folded paper and the book cover structure for me, rather than buying the books from Japan. This was my earliest foray into American manufacturing in the middle of the 1990s, and it gave me some foundational experience when we moved our light-emitting diode (LED) manufacturing from China to Pennsylvania about fifteen years later in 2010.